Mile 2000 Company of Kuwait is seeking for the following position. Interested Nepali candidates may apply as soon as possible. 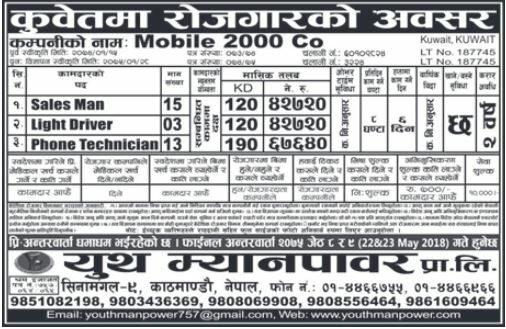 Youth Manpower Pvt. Ltd., Sinamangal, Kathmandu.